We are Jan and Dave Weaver of Westminster, Massachusetts. 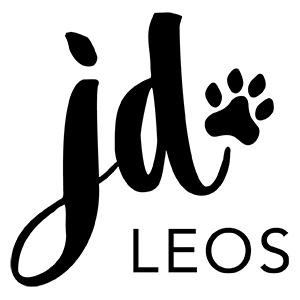 Our goal is to breed healthy, happy and loving Leonbergers that represent the majesty and temperament of this remarkable breed. Our journey with Leonbergers began in 2006. We went for a hike one Saturday with our children at Trout Brook reservation, a local recreation area. Coincidentally, the Northeast Regional Leonberger Club was having one of their get-togethers there that day. The trailhead was at the far end of an open field. There were about 25 Leonbergers playing together in the field and swimming in the pond. They were so majestic, noble, calm and massive! For us, it was love at first sight. On the trails, we met Beverly Travis of Bobev’s Leonbergers, walked the trails with her and several of her amazing dogs, and learned about this incredible breed. We welcomed our first Leonberger, Luxor, into our family in 2007 and our lives were forever changed. Lux was a remarkably sweet, loyal, sensitive, loving, and intelligent dog, quickly becoming our best friend in the world. As with many Leonberger owners, we couldn’t stop at just one! A year later we brought home Java and he was just as sweet and wonderful. Today, we have five Leos – Velcro, Faith, Joy, Jingle and Ariel. They fill our home with love, laughter and lots of fur! Our human kids are now grown and on their own, but our nest is far from empty (thanks to our fur-kids). We’ve decided to make the exciting transition to breeding. Faith’s first litter was born 6/5/18 (see Litters tab). All puppies have been placed. We are planning to breed Faith again Spring 2019. Stay tuned! Jingle thinks she’s a lap dog! Faith – the sweetest alligator ever!